Welcome to Acura of Limerick, your preferred Acura dealer serving King of Prussia, PA. We are here to serve all your automotive needs, and we offer a brilliant selection of new Acura vehicles to pick from. Our staff works hard with each and every customer to find the perfect fit your unique needs. One vehicle that has been turning heads lately is the 2019 Acura TLX, and today we’re highlighting some of our favorite details about it! The Acura brand offers a variety of models, but the 2019 Acura TLX is one of the best we’ve seen. You get fantastic performance with the featured 206-horsepower 2.4-liter I-4 engine and smooth eight-speed automatic transmission. To make this performance even more thrilling, consider the 3.5-liter V6 that’s worth 290 horsepower and 267 lb-ft of torque. 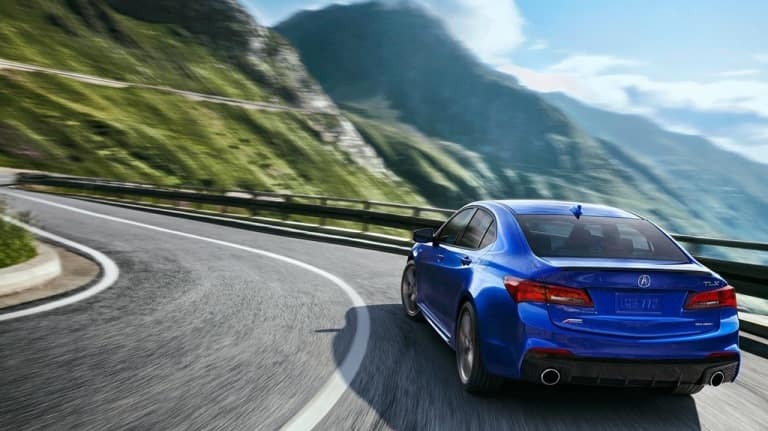 The 2019 Acura TLX earns a highly respectable max 33 MPG highway fuel economy to help you stretch your gas dollars further than ever before—more time on the road, and less time at the pump! Standard safety features include a multi-view rear camera, Vehicle Stability Assist™, adaptive cruise control, lane keeping assist, and road departure mitigation. Options are aplenty in this new Acura car for sale, including front and rear parking sensors, blind spot information, and rear cross traffic monitor. Entertainment abounds in the 2019 Acura TLX. Coming standard is SiriusXM® satellite radio, Pandora®, smartphone integration via Apple CarPlay™ and Android Auto™, and Bluetooth®. With the optional Acura navigation system equipped, you’ll have access to AcuraLink Real-Trim Traffic™, Traffic Rerouting™, and turn-by-turn guidance. Visit us at Acura of Limerick today to test drive the new 2019 Acura TLX. This brilliant sedan is not to be missed, and we’re so excited to share it with you. We’re located nearby at 77 Autopark Blvd in Limerick, PA, and our team is standing by now to serve your needs.